Planning to backpack South Africa? 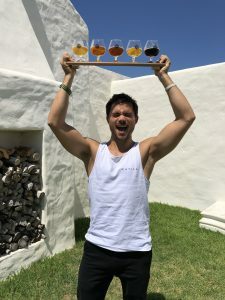 Well I don’t blame you – this stunning country is packed full of incredible things to see and do!There are very few places in the world that you can travel that are so diverse and offer up such a variety of cultures, activities and landscapes. Whether you want to get back to nature with a safari in one of the famed national parks, surf in South Africa or discover the best things to do in Cape Town you’re spoilt for choice! But as with planning any trip how much to budget for a trip to South Africa is going to be the toughest thing to figure out. 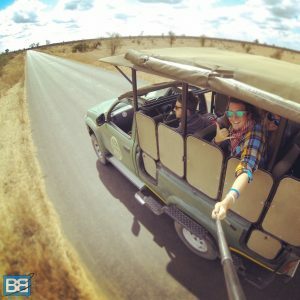 There are so many epic things to see and do when you backpack South Africa, so be prepared to have a solid budget to fit in the top things to do in South Africa and obviously the amount you spend is going to vary a lot depending on the length of your stay, location and what you want to get up to. The Trip I Booked On Was A Solid Choice! You can’t really come to South Africa without going on safari and for many this is going to be the biggest splurge in the budget – or even the main reason to backpack South Africa! There are a huge range of options, from budget camping trips to luxury safari lodges, day trips and multiple park options to choose from. As with budgeting for any country one of the biggest costs is going to be accommodation. 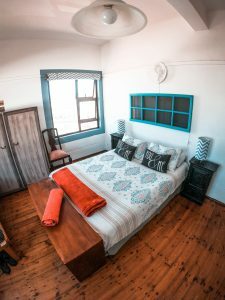 If you‘re looking to backpack South Africa you’ll be stoked to hear that there is actually a pretty solid rage of accommodation to choose from! Alongside accommodation the other major costs associated with anywhere is going to be food and drink. Honestly during my time in South Africa I found that many hostels offered cooked meals at a really reasonable price, in fact if you’re bouncing around quite a bit this works out much more convenient and cheaper than shopping for yourself. If you do want to hit the shops for snacks or cooking supplies Chequers, Spar and Pick n Pay all offer a wide range of food and drink though. This hop on, hop off bus service is a great option for solo travellers or those not wanting to go the driving route. Much like the Greyhound in Australia or Kiwi Experience in New Zealand you can by a pass and hop on and off as you choose. They have teamed up with some of the best hostels in South Africa too with a pickup/drop off service direct to the door. 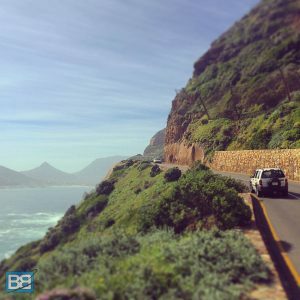 Another popular option with couples or small groups heading off to backpack South Africa is the self drive option and I met a lot of people doing this, especially on the Garden Route section of the coast. This obviously varies a bit depending on pickup/drop off location, vehicle type and hire duration so have a hunt around a few suppliers for the best deal. South Africa is a pretty big place and if you’re short on time or simply don’t fancy covering some chunks of it internal flights are easy to book and relatively cheap too. National carrier South Africa Airlines and low cost carrier Mango are both worth checking out with multiple daily departures and routes all over the country. 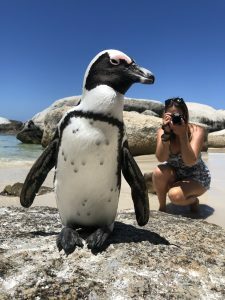 Now if you’re feeling nervous about travelling South Africa, want to sit back and let someone else organise everything and have a solid budget then there are plenty of epic South Africa tours to choose from with a whole range of itineraries. Check out companies like Intrepid and G Adventures (both of whom are highly recommended) for some awesome options. 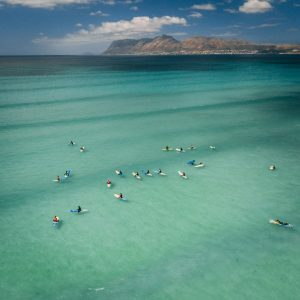 And if you want to get stuck into the waves and jump on a South Africa Surf Adventure like I did then Ticket To Ride offer a truly incredible 10 week surf trip from Cape Town to Durban which includes 8 stops, surf coaching throughout and heaps of awesome activities and community projects. Are you heading off to backpack South Africa? Any other costs you’d like added to the list?